DUBAI, November 15. /TASS/. Russia is implementing a contract for the delivery of T-90S main battle tanks to Iraq, the press office of Russia’s Federal Service for Military and Technical Cooperation told TASS at the Dubai Airshow 2017 on Wednesday. "The contract is being implemented in accordance with the schedule approved by the parties," the press office said. 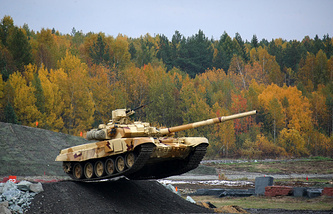 Russia’s Uralvagonzavod defense manufacturer said in its report for 2016 that the corporation intended to implement two contracts in 2017 for the delivery of T-90S/SK main battle tanks. 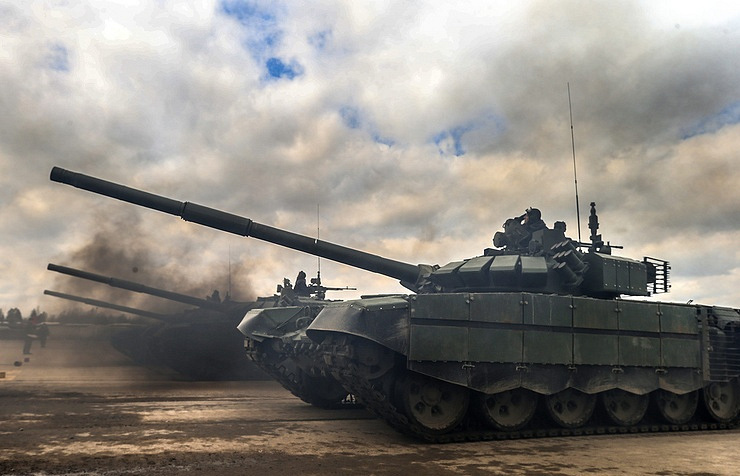 The first contract for 64 tanks was concluded with foreign customer No. 704. The second contract was signed with foreign customer No. 368, under which the first delivery batch will include 73 tanks. According to the all-Russian Country Classifier, Vietnam is customer No. 704 and Iraq is customer No. 368.